Important Notice 22Apr2019, 09:57. Our phones (via VirginMedia) have been out of operation since early this morning. We are patiently awaiting the restoration of their network. Repositionable, reusable, holds up, holds down. 60g pack. Repositionable, reusable, holds up, holds down. Value Brand. 140g pack. Repositionable, reusable, holds up, holds down. 55g pack. Desktop calculators made from recycled plastic. Solar only power (battery free). Packaging is a minimum 90% recycled. Small: 10x14cm, large: 11x17cm. 12 digit LCD display enables profit and sales calculations via the cost-sell-margin keys. Recycled plastic ruler made from recycled polystyrene packaging, cm/inch scale. Very popular as personalised give away, see promotional price list for details. 30cm/12" in length. Wooden rulers in 3 sizes. Rounded edge with metal inlay for accurate ruling. Centimeter scale. Ideal products for printing logos with long messages, see promotional catalogue. Original Tipp-Ex quality fluid. No environmental credentials. 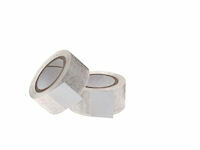 White tape, 5mm wide, 8m long, refillable. White tape for correction roller. 90% of the body and cap are made from renewable resources (cornstarch instead of oil). Assorted pack of 4: fluorescent pink, yellow, green, orange. Solvent free, water based ink. Cardboard wallet. Refill bottles available or refill with Stabilo Boss refill cartridges. Water-based ink, PP plastic, chisel tip, refillable. Comes in the standard four bright colours. Insert highlighter nib in refill tube, ink will be soaked up through the nib. For Stabilo Boss refillable highlighters. Refillable permanent markers. Assorted pack of 4 colours. Medium nib with 1 mm line width. Refillable permanent markers. Medium nib has 1 mm line width. Refills for medium nib, permanent markers. Black in stock. Colours available 10 days on order. 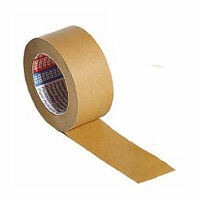 Suitable for almost all surfaces: paper, cardboard, metal, plastic, glass. Alcohol based ink, low odour. 90% of the plastic in this marker is made from recycled material (83% post-consumer). REFILLABLE! Marker clicks into the refill bottle and draws up the ink. FSC-certified beech wood, metal clip. Made in Europe from European timber from sustainable forests. Refill with 0.7mm HB-refills. Each Pencil holds 2 spare refills inside. For automated pencils, tub with refills. Unvarnished cedar wood, FSC certified, with eraser. 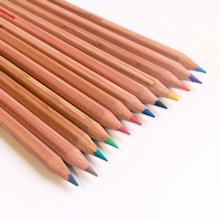 FSC certified pencils, mini, 8.5 cm long, hexagonal, unvarnished. Wooden pencil extensions. Suitable for normal size pencils. Use your pencils right to the end! 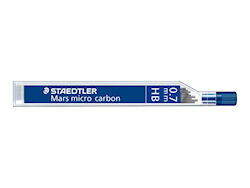 With cap, 0.4mm Ultra Fine Point, black, 0.2mm line width, refillable, made from 74.2% recycled plastic. Non-permanent, water based ink, write 2.0mm line width. Made from 83% recycled materials. Perfect for graphics and illustrations. With cap and clip, 0.7 mm point. 89.2% of the pen is made from recycled plastic, refillable. Refills. 0.7mm point, sturdy metal nib. Great ink flow. Green version of the iconic V5 and V7 Hi-Tecpoint Pen. Pure liquid ink and ink viewer window. Ink flow controller ensures a consistent smooth, dense, and lasting ink supply. Tungsten carbide nib for precise blob free writing. Refills available in packs of 3. Packs of 3 refills in a little cardboard pouch. Suitable for both V5 and V7 Hi-Tecpoint pens. Made from 100% recycled paper. Refill with long refills. Ideal for printing on logos, see promotional catalogue. Long straight refills for recycled paper biros. Made in Europe from European timber from FSC certified sustainable forests. Metal clip, blue ink, refill with 775-refill. Ideal for printing on logos, see promotional catalogue. Current pen comes with a metal push head. 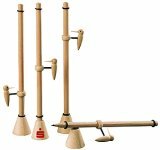 Made in Europe from European beech wood with ABS plastic tips, tops and clips. Blue ink, refill with 775-refill. Ideal for overprinting with a logo - see our promotional catalogue. 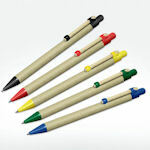 100% recycled cardboard barrel with coloured recycled plastic tips & tops. ALL BLUE INK, 775 refills fit best. Ideal for printing on logos, see promotional catalogue. Body made from plants not oil. Semi-translucent and blue barrel, blue clip. Blue ink. Different body and clip colours are available for overprinting. Body made from plants not oil. Semi-translucent and blue barrel, blue clip. Blue ink. Made in Italy. Slim nib refills fit most retractable biros. Write 3000m. Available in black, blue and red. Best fit for all our retractable biros apart from the plant pens which have a shorter spring. Refills No. 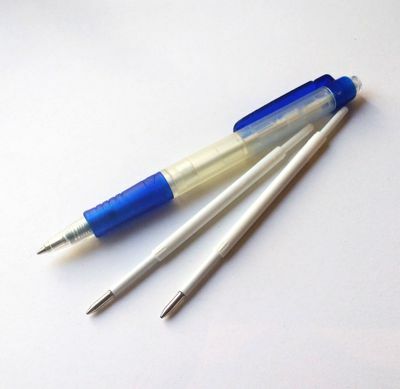 775 write 3,000m, available in blue and black. Made in Europe from FSC certified European beech wood. 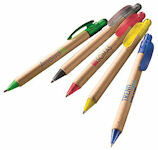 Retractable and refillable with coloured metal tips & tops. Look very smart overprinted with a logo - see promotional catalogue. 0.7mm refills for Wooden Gel ink pens. Fine line pen. 0.4mm felt tip with cap & clip, refillable. Made from FSC certified European beech. Blue ink, refill with short refills. Ideal give away printed with your logo, from only 29c each, see promotional catalogue. Straight short refills for our plain wooden biros. Available only in packs of ten, black or blue ink. Metal foldback clips in cardboard boxes. Available in various sizes. 10 black clips per box. Metal Paper Clips in various sizes and types in recycled cardboard boxes. 32mm are large lipped. 50mm are giant non-tear. 77 mm paper clips. Comes in packs of 100. 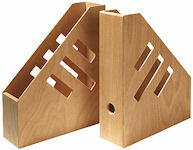 Handy wooden holder which has a magnetic centre to hold your paper clips tidily. Made from natural wood from European forests. Lightweight, non-magnetic, won't rust, used mainly for archival storage. Push Pins with wooden head. Drawing have a solid brass head. Dispenser containing 25 stainless steel clips for 2 - 40 sheets. The refill pack contains 50 stainless steel clips. Clips are re-usable. Recycled plastic punches AND steel punches in 2 sizes which have a solvent-free coating, base and guide from chlorine-free plastic. All come with paper size guides. 2 types of staple removers, both are metal without any plastic. See second picture for the heavy duty version. Recycled plastic stapler for 20 sheets. Comes with handy staple storage chamber and rubber feet. Use with 26/6 or stronger 24/6 staples. Premium half strip stapler with 64mm throat depth. Metal chassis and comfortable finger grip. Sits horizontally or stands vertically. Staples up to 20 sheets with Rexel No.56 (26/6) staples and up to 25 sheets with Rexel No.16 (24/6) staples. Heavy duty full strip stapler staples up to 50 sheets of 80gsm paper. All steel chassis, push button front loading system. Uses 24/6 and 26/6 staples (2 - 20 sheets), or 24/8 and 26/8 staples (15 - 50 sheets). Easy to reload with the magazine release button, adjustable guide for different paper sizes and margins. 26/6 are standard size and 24/6 are a little bit stronger. Both sizes have 6mm legs and fit most staplers. For 50 sheets use staples with 8mm legs: 24/8. Single metal blades for use in all our sharpeners and many other brands. Blue Angel certified 100% recycled, solvent free glue, multi colour, 400 sheets - 100 each of blue, pink, yellow, green. 75 x 75 mm. Blue Angel certified 100% recycled, solvent free glue. 100 yellow sheets per pad, available in 3 sizes. Yellow, 10 metres of sticky note paper with dispenser. Refills: 10m x 60mm roll. Stick & lift, 4 x 40 sheets per pad, made from paper, available in fluorescent or translucent quality (no plastic). Case sealer for 5cm packaging tape. Superior quality. Easy to use. Made from polypropylene (PP), paper core. Strong Quality. 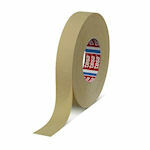 NEW: golden tape, not affected by heat or frost, smooth action, no wrinkles, great sticking power. Made from polypropylene (PP), 19mm x 66m. 75mm paper core diameter. Other sizes available. Made from polypropylene (PP), 12mm x 10, 25mm paper core diameter. Other sizes available. Made from polypropylene (PP), 19mm x 33m, 25mm paper core diameter. Other sizes available. Made with cellulose. Virtually invisible for wrapping gifts and mending paper. Can be typed on, written on, faxed and copied. 19mm x 33m. Plastic core. 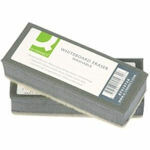 Made from 53% renewable biodegradable cellulose with solvent free plant based adhesive. Does not yellow or dry out with age. Recycled plastic core with recycled paper carton. 19mm x 33m. Ideal for "invisible" repairs. Matte surface can also be written on. Made from 100% recycled plastic. Heavy base. 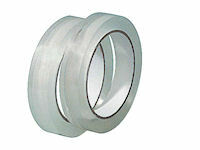 For 19mm x 33m rolls. 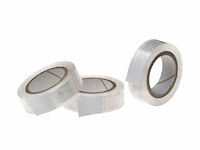 NEW: comes with a small roll of clear recycled plastic tape (15mm x 10m). Standard large plastic tape dispenser for 19mm x 66m rolls. Comes without tape - purchase separately. Available in two sizes; mini (right in picture) and maxi (left). Made from natural wood from European forests. Great for keeping all those desktop essentials together. Pen and pencil holders. Single tub (right) or three smaller tubs together (left). Natural wood from European forests.